The preservation of more than 300 acres of forested land in Hopatcong Borough, Sussex County in the New Jersey Highlands was finalized in February 2014. The land was acquired for conservation and recreation through the Forest Legacy Program, a partnership between participating states and the Forest Service, U.S. Department of Agriculture. The DEP's Green Acres Program worked closely with the U.S. Forest Service to protect this land, using a combination of federal Forest Legacy Program funds and Green Acres State Acquisition funds. The Forest Legacy Program is a voluntary program seeking to identify important forest lands and protect them for future generations. The site has a hilly terrain, with rock outcrops, boulders, and steep slopes covered with mature forest. A small stream known as Cowboy Creek, a tributary to Lubbers Run, is located along the northern portion of the site. The property adjoins Hopatcong Borough's Natural Lands Preserve and will become part of Hopatcong State Park. 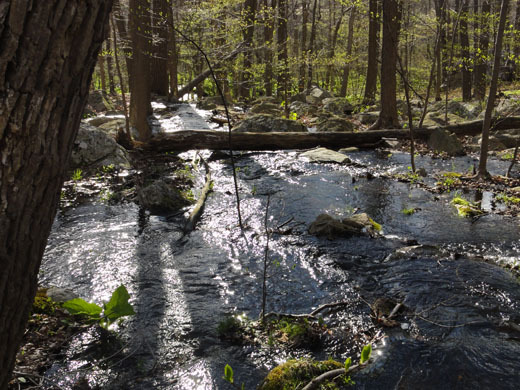 Preservation of this land prevents its conversion to non-forest use, provides public recreational opportunities and will help preserve the water quality of the underlying Highlands aquifer and Lake Hopatcong. Place cursor over images on left to view larger image.